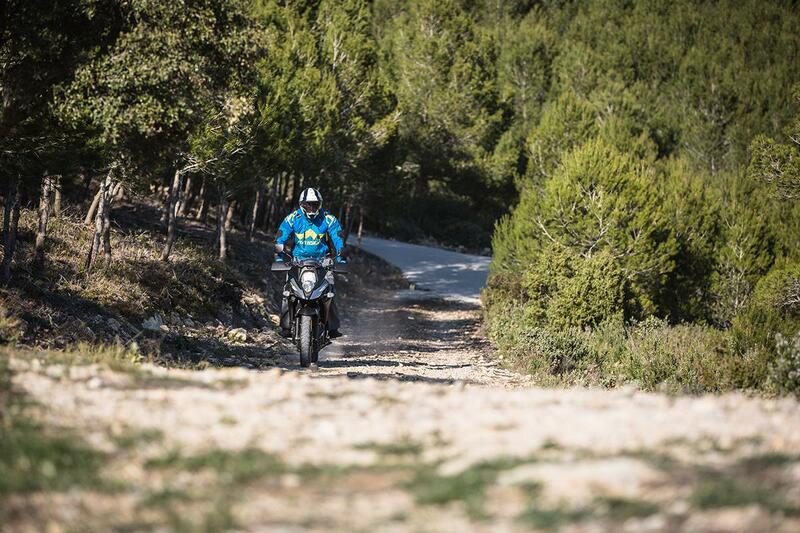 If your adventure bike doesn't have more electronics than the space shuttle and gadgetry coming out of its ears it often gets forgotten, but Suzuki's updated baby adventure bike, the V-Strom 650XT, proves good adventure bikes don't need gizmos. 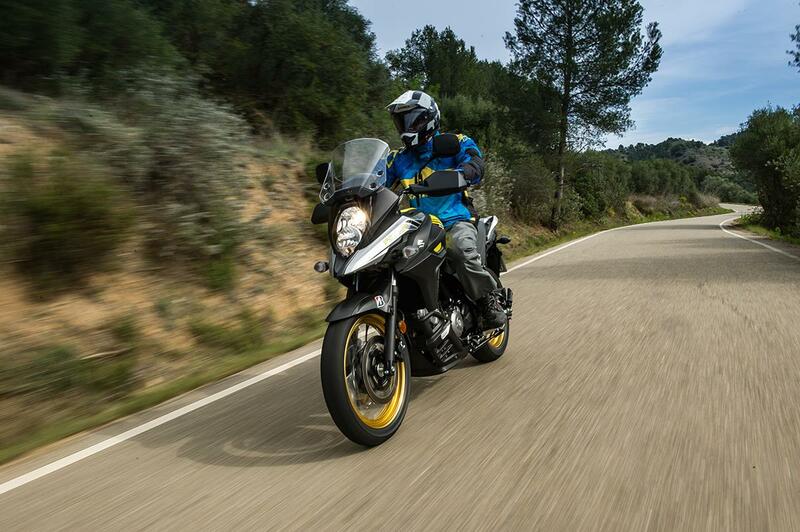 As well as getting a much needed facelift to bring it inline with the styling of the V-Strom 1000, the 650 has had plenty of performance upgrades too. The SV650 engine has received over 60 changes alone and the baby 'Strom now comes with two stage traction control, which can be turned off. On its most intrusive setting the traction control chime in firing out of corners, but it's incredibly smooth and never feels like it's holding you back - the only clue you get is the TC light flashing on the dash. The SV650 engine remains as fun and flexible as ever. Making 71bhp it's right at home up near the redline as it is driving out of corners from 3000rpm. On the twisty mountain roads in Tarragona, Spain the V-Strom almost turns into a scooter thanks to the flexibility of the engine. Stick it in third gear and it'll drive out of the tight 20mph hairpins without bogging down. The rear suspension is preload adjustable, with no adjustment available on the forks, but Suzuki have done a great job dialing in the standard settings, which sit on the slightly soft side of plush. On motorways the suspension soaks up the bumps with ease, and isn’t trouble by bigger bumps. When it comes to the cornering the suspension copes just as well, soaking up any bumps and doing a great job of keeping you on your desired line. There’s no dramatic fork drive when you hit the brakes, and the rear shock doesn’t immediately compress when you get on the gas, the bike just remains level and balanced and leaves you to concentrate on the job of riding. The screen is three-way adjustable, although if you want to adjust it you’ll have to undo the four allen bolts holding it in place, and the correct size allen key isn’t included in the undersea toolkit. 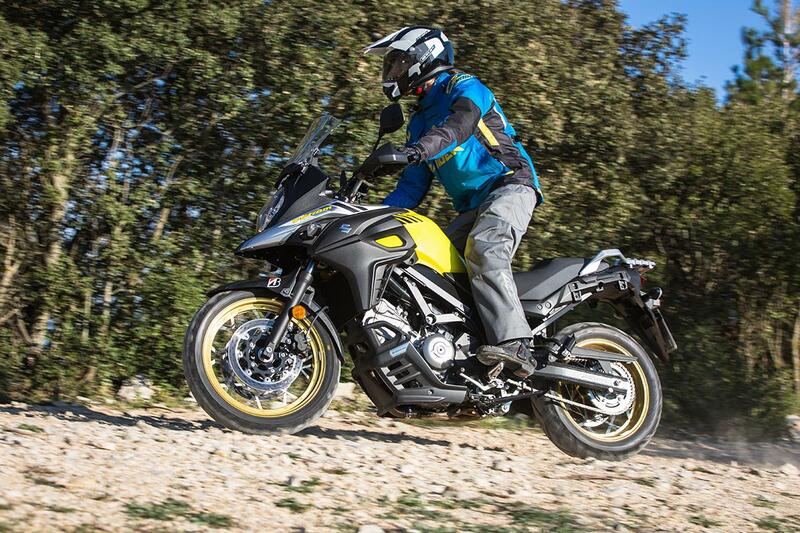 For a bike as practical and versatile as the V-Strom, which will no doubt be pressed into year round use by some owners, heated grips would be a much welcome addition, although a 12V socket is now included on the dash. 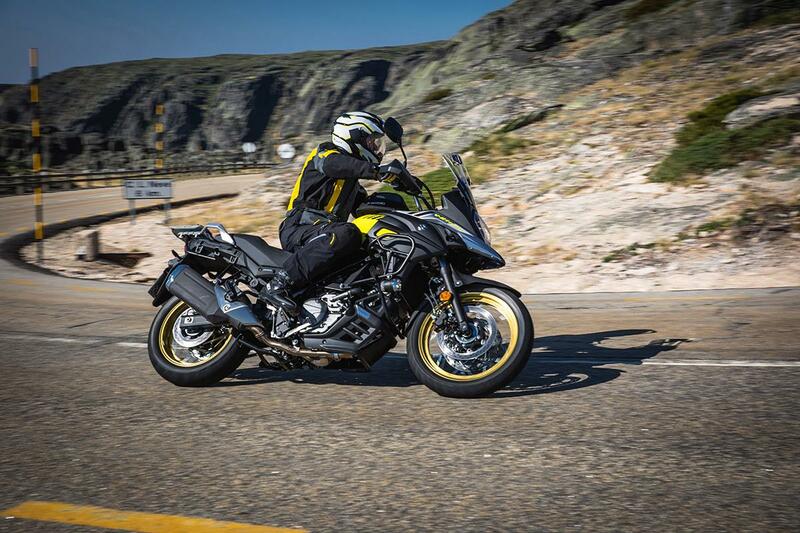 The V-Strom is great not because it has all the latest tech, it's great because it does the simple things well, and 99.9% of the time that's all any rider needs.